On this episode I speak with Alix Jules about his journey of faith and humanism. We also talk about the state of politics in America as secular humanists who care about marginalized groups. At one point in the conversation Alix said, "we have a crisis of compassion" in this country and what we need to realize is that "we're all in this together." Alix is a writer, activist, and social commentator who typically discusses race, religion, and politics in culture. He’s ... See More been featured in Ebony Magazine, Time Magazine Online, and is a contributor to various books and articles on science, tech, and the impact of religion in the African American community. His activism includes building bridges for humans through discourse, and finding literal safe spaces for Nonbelievers, LGBT Youth, and recovery programs for survivors of abuse. He’s an academic nomad whose graduate studies range from Computing and Data interpretation from Columbia University and Northwestern - to challenging the ideas of the mind with studies in Psychology at Harvard. He activism involves him with many different non profit organizations, including Black Non-Believers, Center for Inquiry’s African American for Humanism, and the American Humanists Association’s Black Humanists Alliance. You can find Alix on Twitter (http://www.twitter.com/alix331) and Facebook (https://www.facebook.com/alix.jules). 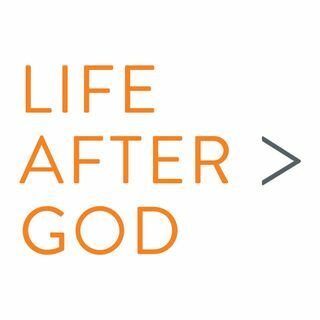 To become a member of Life After God and access to the Life After God Facebook Group, please visit the Patreon page (http://www.patreon.com/lifeaftergod) and subscribe at the Member ($5/mo) level.